"Buy Nothing day" is a day after Thanksgiving,to replace Black Friday: when all markets and online stores offers discounts of thousands of items, it's a big shopping day in the USA and now everywhere around the world. It has become really popular. 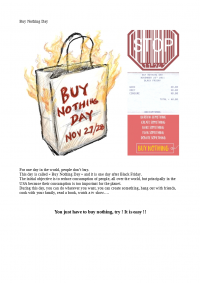 BUT on that day: BUY NOTHING! help of a picture. 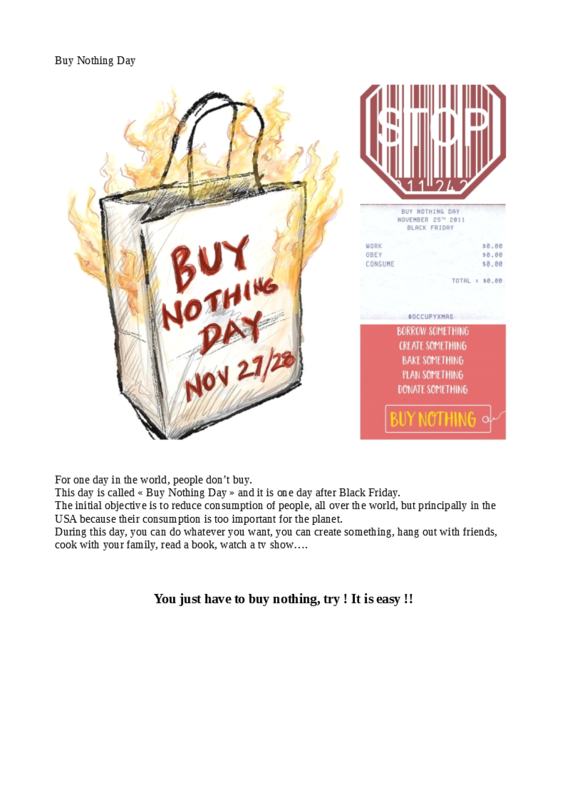 We needed to do a text about why "Buy Nothing Day"